Nominations for the U-T Readers' Poll Are Open!!! 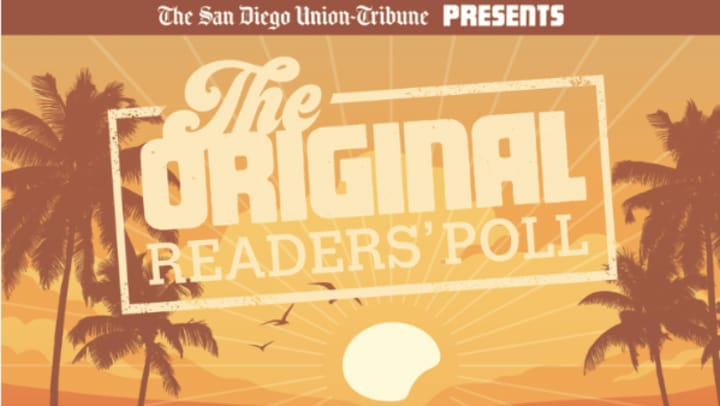 Every year, San Diegans share their “best” picks in the annual San Diego’s Best U-T Readers' Poll. San Diego Self Storage is thrilled to be your pick for Best Storage Facility for each of the past three years. This year, the call for nominations began last Sunday, April 8th and runs through May 9th. Please take a moment and nominate San Diego Self Storage. Please note- a nomination for San Diego Self Storage represents a nomination for all of our San Diego locations. VOTE for San Diego Self Storage and other San Diego favorites May 27 - June 26. WINNERS are revealed in the SD Best special section publishing online and in print on August 19. Thank you for your support! We are grateful for your nomination and your vote!